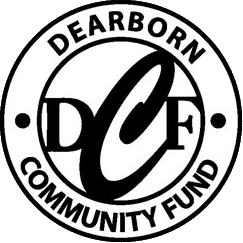 Dearborn’s Art in Public Places is a project of the Dearborn Community Fund (DCF) in partnership with Downtown Dearborn, the East & West Downtown Dearborn Development Authorities. Its initiative includes two murals in the East Dearborn Downtown district and permanently installed pieces of sculpture throughout the community. The initiative also incorporates sculpture pieces on loan for temporary installation and they are available for purchase. Through May of 2019, eight sculptures, created by the Nordin Brothers of the Detroit Design Center will be located in the East and West Dearborn Downtown districts and at the Ford Community Performing Arts Center. If you’re interested in purchasing one of the Detroit Design Center’s sculptures, please contact us at 313-943-5478.